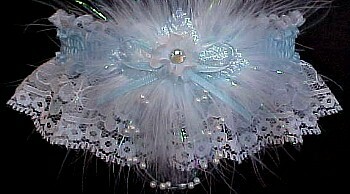 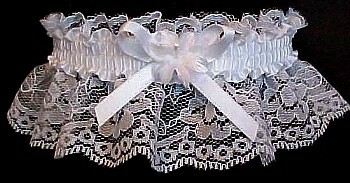 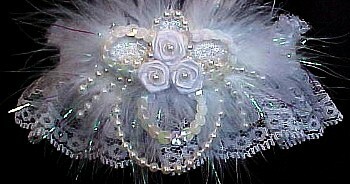 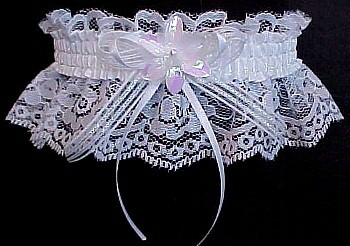 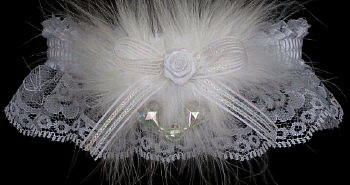 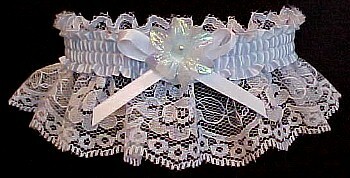 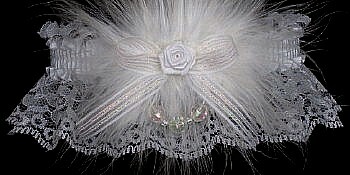 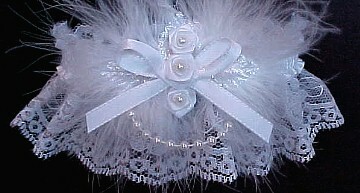 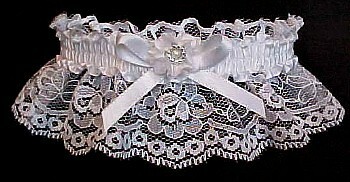 Roses 'n Pearls Wedding Garter or Deluxe Opal Bridal Garter on White Lace. 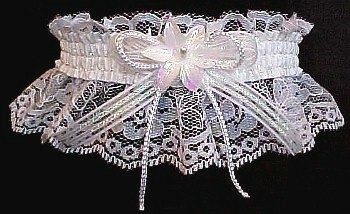 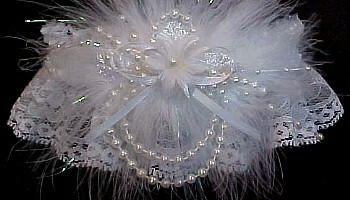 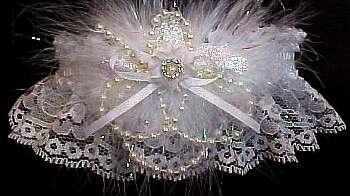 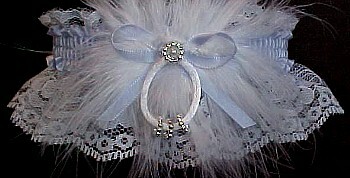 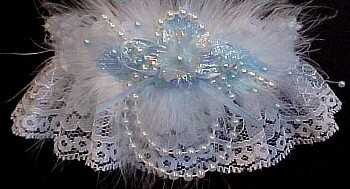 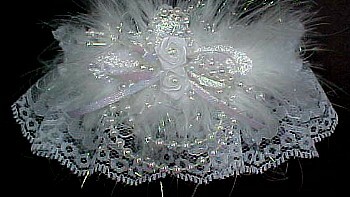 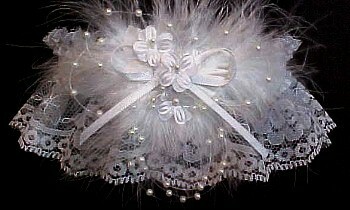 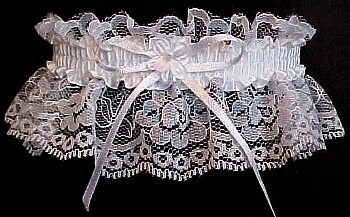 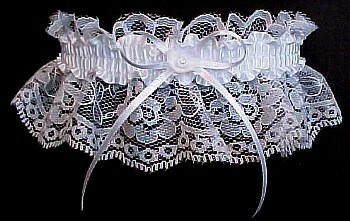 Destination: Designer Details in Wedding Garters Bridal Garters by Custom Accessories Garters. 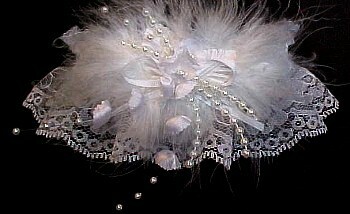 Roses 'n Pearls or Deluxe Opal accent with Marabou Feathers.